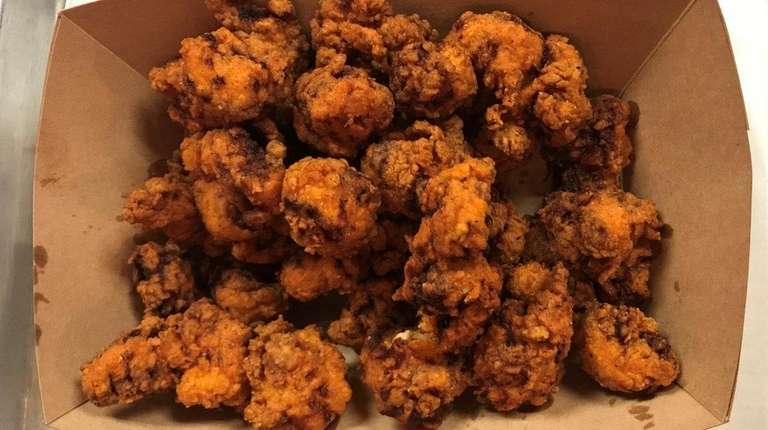 The story of how the mind-blowing fried alligator popcorn became a staple on the menu at Bell’s Kitchen & Smokehouse tells a lot about the talent and pitfalls facing Lara Talt and her 11-month-old restaurant in Franklin Square. Soon, alligator meat began arriving from Louisiana weekly. Some was smoked and tossed in barbecue sauce. The rest was marinated two days in a buttermilk brine before being breaded, deep fried and tossed in a dry spice mix with hints of cayenne pepper, onion and garlic. Alligator has been so popular at Bell’s that Talt has a hard time keeping it on the menu. Admittedly, it’s difficult to stop once you taste the crackly crisp batter that gives way to tender nuggets of meat that I, for one, would want to pop in my mouth during a movie. 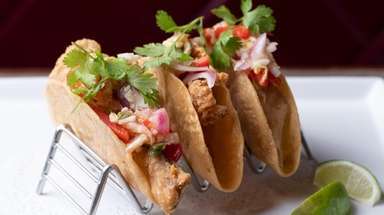 But the alligator is also the latest addition to a growing menu of Southern, Pan-American and Latin fare that features close to 100 items along with roughly two dozen specials. 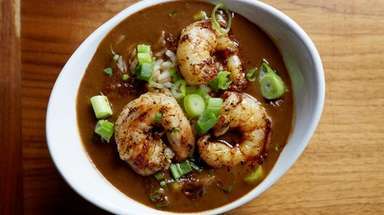 There is Southern barbecue, Cajun dishes such as gumbo and jambalaya, and fried foods. 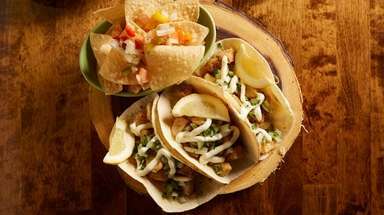 There are also burgers, tacos, empanadas, sandwiches, salads and seafood, including mussels and a lobster roll. It’s a list that is dizzying to decipher and clearly taxing Talt and her small kitchen staff. 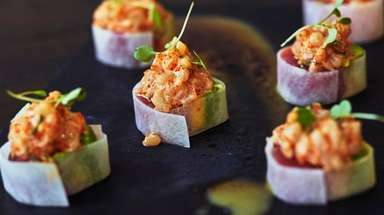 Talt, a 34-year-old Nassau-born chef, runs the kitchen with a small staff that includes chief deputy chef Melvin Walker. She considers herself a Southerner at heart after studying to be a marine biologist in Florida. That’s where she learned to smoke meat in her spare time. She is an exuberant presence in the six-table dining room, and based on dishes that succeed, a passionate and talented chef. But catering to every customer’s need is hard for any restaurant and often leads to an experience that can be uneven (and service that is often slow). Take for example, the fried sections of the menu. Along with the alligator popcorn, fried pickles — a Southern staple — are perfectly battered. The same can be said for corn fritters, crunchy morsels filled with creamy sweet corn, and the fried chicken, fork-tender pieces that get their beautifully brittle coat of flour and cornmeal from a 15-minute bath in the fryer. But a fried egg roll filled with smoked brisket arrived frozen in the middle. A pulled pork version was lacking flavor, saved only by healthy dunks in Talt’s vinegary barbecue sauce. This lack of consistency is how it went during repeat visits. 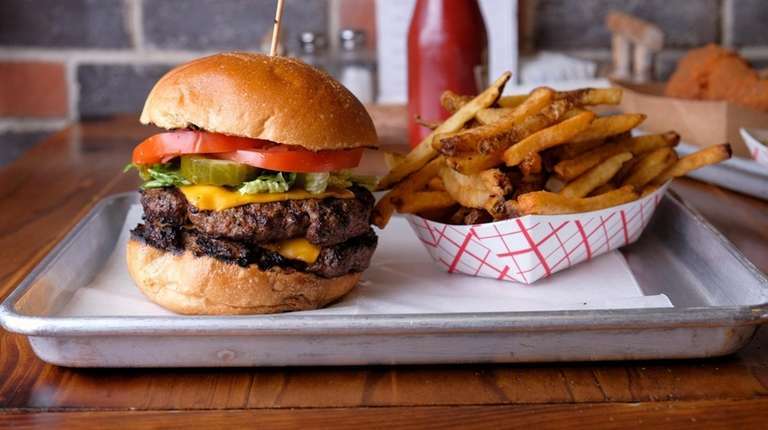 The drive-in burger, a two-patty, 1-pound monster with a nice char, was hard to share, though it would have been better if the cheese were melted. 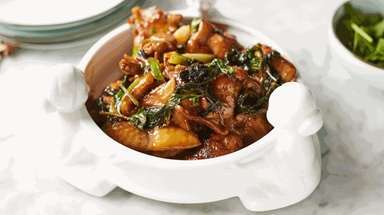 Cubes of smoked and deep-fried pork belly tossed in bourbon barbecue sauce pair well in a sandwich. On the flip side, chicken wings had an enjoyable hint of smoke, but rubbery skin, while the jambalaya arrived with overcooked sausage and no spice. From the smoker, pulled pork was an unforgivable soupy mush, and St. Louis-style ribs lacked that gentle pull that makes a great rack impossible to resist. But the smaller baby back ribs were tender with an unusually nice char from a quick trip on the grill. Then there’s the “dino rib,” a forearm-sized weapon of a beef rib, that was smoked to a perfect pinkness, chargrilled to order and lacquered in a light layer of slightly sweet and spicy barbecue sauce, for a steak-like result. It was yet another example showing that Halt has cooking chops. For dessert, try the chocolate-bourbon-pecan pie, which has a healthy, but not off-putting, helping of booze. Located in a space that most recently housed a takeout Chinese restaurant, Bell’s is the latest addition to a restaurant boomlet that is taking hold at the intersection of Hempstead Turnpike and New Hyde Park Road, where you’ll also find some of Long Island’s best pizza (Naples Street Food) and Thai food (Frankly Thai). With some attention to detail and a more focused menu, Talt will one day be standing among her peers.